We spoke to multiple sources connected to Karrueche Tran … who tell us KT feels betrayed by Chris because he had promised her that she was the only woman in his life … especially when she probed him about his feelings toward Rihanna. We’re told Karrueche had suspected something was up between the two of them for weeks because Chris was acting differently — going to clubs alone, acting distant and ramping up his public appearances with Rihanna. Sources say Karrueche told friends she truly loved Chris … and felt that the relationship was great until Rihanna let Brown back into her life. 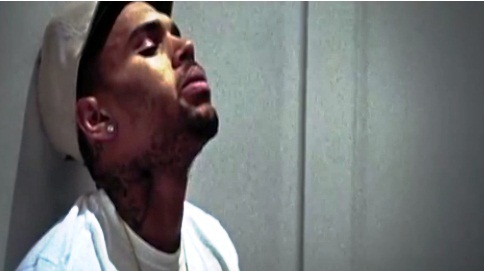 Watch “The Real Chris Brown” below. Um yeah. As I said before, 20 year old nonsense. Chris and Ri want to be together? Have at it. You can’t tell grown folks what to do. I only hope they don’t turn ths into some tragic Romeo and Juliet story. But whatever. K baby the writing has been on the wall. Just truly move on and keep it moving. I can’t believe RiRi truly wants Chris back. I think it’s just to fcuk with KT since they’ve had a few dust ups on Twitter. Chris what you do is your bussiness,you don’t have to tell anyone who you want to be with.Grown man in love that’s all. They deserve each other. It’s easy for Rhianna to make another accusation that will send him back to jail once she wants more publicity. I wish them both the best.